Homemade food is still the best thing when you are starting to introduce food to your baby. It may be a bit of a task but the reward is great because you know that the food that you are giving to your baby is perfectly safe. You don’t really need to have a degree in culinary to make baby food. 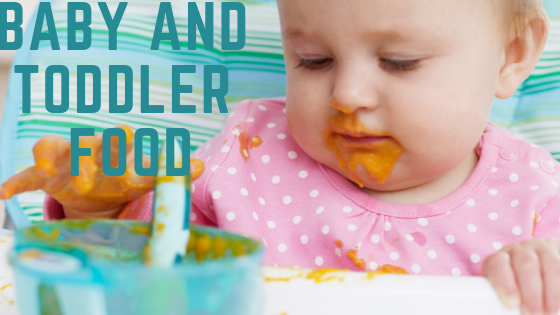 A simple puree from soft cooked fruits and vegetables with water, breast milk, or formula makes for a yummy and healthy baby. Here are some ideas you can try in making your own baby food and purees. Homemade vegetables and fruits purees are filled with essential vitamins and nutrients for your growing little one. There is no need to invest in lots of new and expensive kitchen gadgets. Learn how to make these purees at home with our step-by-step guide. Peel, halve, and core the apple. Chop thinly and put in a saucepan with water. Cover and cook over low heat for 5 to 10 minutes or until the apple is tender. Puree in a food processor or a blender to blend to your desired consistency. Peel squash/pumpkin. Chop thinly and put in a saucepan with water. Cover and cook over low heat for 5 to 10 minutes or until the apple is tender. Puree in a food processor or a blender to blend to your desired consistency. For extra creaminess, breast milk or formula may be added. If your baby is ready for finger foods, cooked pumpkin or squash can be served by cutting them into small bite-size pieces. Potato mash is a great baby food because it is very soft when cooked or simply when boiled. Peel the skin and cut the potatoes into small pieces. Put in a saucepan with water and cook until tender. Place in a food processor or blender until smooth. Add water or breast milk if desired. You can also use fork to mash the potatoes but make sure that there are no chunks before serving them to your baby. Place peeled and chopped carrots in a saucepan. Add water, cover, and bring to a boil. Drain the potato and put in a food processor or blender until smooth. Carrot can also be mixed with potatoes for a nourishing meal for your babies. Puree avocado in a food processor or blender until smooth. For extra creaminess, add breast milk or formula milk instead of water. For older babies, use a fork to mash avocado so that babies can appreciate texture. Banana Orange Juice is a smoothie that babies can definitely enjoy. Cut orange in halves and squeeze juice using a fruit juicer. Add chopped banana and water (instead of ice cubes). Blend in a blender until smooth. Any kind of vegetables or legumes can be used to cook vegetable soup. In a saucepan, toss in onions, carrots, and celery until softened. Add potatoes, garlic, herbs, and stock. Simmer until cooked. Used immersion blender to achieve a slushy texture. Puree the cooked/boiled spinach in a blender or food processor until smooth. Add water, breast milk, or formula milk for a creamier texture. Try mixing spinach with other vegetables like carrots, sweet potatoes, chicken, salmon and even cheese. In a saucepan filled with water, put sweet potato. Simmer for 3 minutes. Add chicken and broccoli. Continue to simmer for 5 more minutes until the vegetables and meat are cooked through. Drain the water and put in a food processor or blender. Add breast milk or yogurt and blend until smooth. Remember: Always check with your pediatrician before introducing a new food to your baby, especially if your baby has food allergies. Ask a pediatrician if your baby is ready to eat meat. In general, meat can be introduced to babies aged 6 to 8 months to provide additional nourishment such as iron, zinc, and protein.